I just finished reading Galla Placidia: The Last Roman Empress by Hagith Sivan. I ran the gamut with this book – started reading just to read, decided partway through I was going to review it and changed my note-taking accordingly, then reversed myself and decided not to. As a compromise with myself I decided to comment briefly. Sivan takes an interesting approach in this book, one which grew on me as I went along. While she provides some details of GP’s life, what she uses are events from her life to illustrate the life of aristocratic women. For example, she and Athaulf had a young son, Theodosius III who died in infancy. Other than the fact that the child’s body was placed in a small, silver reliquary, almost no details have survived about his initial burial in 415 (as opposed to the translation of his body to the family mausoleum in 450). Sivan uses other examples from Late Antiquity such as late 4th century letters from Ambrose, homilies from Gregory Naziansus and Gregory of Nyssa, poems from Paulinus of Nola and accounts of funerals to describe what likely happened. 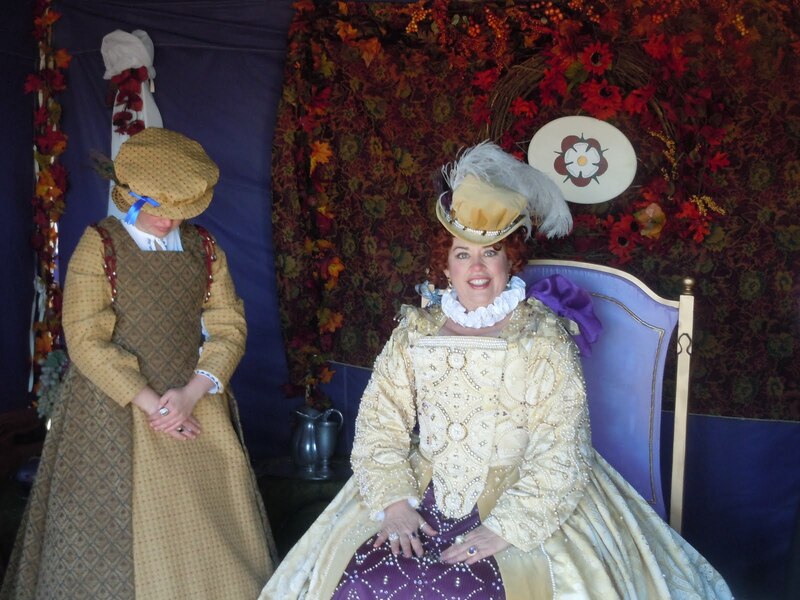 She provides similar examples for GP’s weddings, her son’s accession as Emperor and other key moments in her life. Where they exist she uses surviving evidence such as texts and inscriptions. In essence, this is much more a book on aristocratic women in the later Empire than a biography of Galla Placidia. There are biographical elements but in many ways, this is the weakest part of the book. It is more valuable as a study of the status of women. My two main criticisms of the book are how it serves as a biography and with how Sivan approaches some of the more controversial modern interpretations of some of the evidence. The book offers a fair amount of detail of GP’s life, or at least the progression of the later Western Empire, through 425 when she becomes regent for her son, Valentinian III. A fairly detailed account of the Goths, their movements through Gaul and settlement in Spain and various conflicts and power struggles are provided. The death of Constantius III, GP’s exile during the brief – 423-425 – reign of John, a Notary, and her and her son returning to Ravenna in 425 receive substantial attention. This drops off for the years 425- 437, the period of her regency, and even less is given for 438-450. Some details of the conflict between Aetius and Boniface are provided however little is spoken of the erosion of the Empire’s territory, the impact of the Vandal conquest of North Africa or how the Empire struggled to respond to these threats. This was disappointing to me, largely because those kinds of details are given through 425 and honestly, if the book’s about Galla Placidia, wouldn’t an account of when she was the ruler of the Empire, and her son’s rule (at least through 450 and if you’re going to do that you might as well get to 455) be included? My other issue is when Sivan discusses events which have been interpreted in contrasting ways by modern historians. This may be more of a personal peeve. This book is what I would consider a fairly light read and does not engage in the dense, technical examinations of evidence that more academic books contain. However when Sivan mentions that she has chosen one source interpretation over another, I believe she should at least summarize the two arguments. One of these is for the dating of the Ashburnham Pentateuch to the fifth rather than sixth or seventh century. (129) Her selection of the earlier date may be perfectly valid – it likely is – however a brief foray into the arguments would be appropriate. Likewise, she provides an interpretation of Merobaudes’ Carmen I which portrays the child Valentinian III as a weeping exile in search of assistance before the Eastern Emperor, Theodosius II, while in the translation I have this is depicted as the joyful betrothal of Licinia Eudoxia and the then (in 423) exiled young emperor. (122-3) Sivan does footnote that her interpretation differs from others (I have the Clover translation) but she goes into no detail regarding how or why she reached this conclusion, or even what the Clover translation describes. By necessity I have spent considerable time detailing a couple of criticisms. However I do not want this to give the impression that this book is not useful. It is geared more toward the beginner than the historian. In particular, I believe a specialist in this period and region will find little of value. I do think it will make a very nice introduction to the early fifth century of the Western Empire, though I will need to consider a more narrative type of book to suggest as a companion. In the end, this is a good book, though with a few holes. The status of aristocratic women in the later Empire is explored through an interesting examination of source material and in using Galla Placidia as something of a case study. It is not a straightforward biographical account and some of the details of the fifth century, particularly from 438-450, are unfortunately absent. However if someone is interested in learning more about medieval women; their roles, challenges, and ability to influence events, this book would make a good starting point. 1 The Pseudo Society presentations at Kalamazoo are purely humorous depictions of the Middle Ages. Clover, Frank, trans. Flavius Merobaudes: A translation and Historical Commentary, Philadelphia: The American Philosophical Society (1971). Sivan, Hagith, Galla Placidia: The Last Roman Empress, Oxford: Oxford University Press (2010). At least it will if you’ve been reading this blog for any period of time. I did a search for a reference cited in something I read which led to a horrible confluence of events which may require my buying another bookcase tomorrow. I don’t want to come across as pushing any commercial sites but let’s just say that if you go to the Oxbow Books/David Brown Book Company and start looking at their bargains and special offers, be very careful. Though I got some seriously cool stuff. What is Late Antiquity Anyway? Uh-oh. I like it when people are perceptive, except for those times when I don’t. I gave him some sort of explanation which included a period which contained elements from classical and medieval society, monotheistic state-sponsored religion, changing patterns of land tenure, etc., etc. I quit before I threw in retaining classical literature, government administrative systems, etc., from Rome. I think I was close to discovering a new method of hypnosis. OK, so that didn’t work and I’ll never do it again. For now I’m going to remember not to use Late Antiquity in this sort of conversation. That doesn’t mean I want to throw the term in the dustbin, only to be trotted out when I go to a conference, happen to run into folks with some knowledge, or post to this blog. I think it has some utility and it should, even when talking to people who know even less about history than me. I’m pretty comfortable with about 250-700 as the period (of course there’s overlap with other periods). I have the “whenness” piece of this down fairly well and have no problem justifying it for Western Europe. For details you can see this discussion on Magistra et Mater. Maybe the best I can do is a combination of period/characteristics. One statement I try to stay away from is, “Late Antiquity was a period of change.” Every time in history was a period of change. LA may have had a bit more than some periods but it’s pretty hard to find any 500-year chunk of time where things were pretty much the same at the end of it as at the beginning. And I definitely won’t say that Late Antiquity was, “The period where the Roman World transformed into the Medieval World,” since this tells my lunch-listeners nothing. Anyway, if someone has a useful phrase defining Late Antiquity in 20 words or less, I’d appreciate it. Lacking that, I think I need to go back to explaining my interest as, “the early part of the Medieval Period and the later years of the Roman Empire.” That hasn’t caused me much trouble. 1 I should note that long before I started thinking about things like Late Antiquity I considered the Middle Ages to be from 312-1517. I thought (and still think) that the existence of Christianity as the single largest social institution in Western Europe was a pretty important defining characteristic and figured the period between Constantine at the Milvian Bridge and Luther worked pretty well (at the time 1517 made sense – I have no trouble with anyone saying it should be 1519, 1520, 1530, etc. – or anyone who wants to use 1492, 1453, etc.). Once I figured out what piece of Medieval History was most interesting to me, I decided that Late Antiquity did a pretty nice job of covering that same time (at least based on the years used by some). My About this Blog page gives a bit more detail on how my thinking progressed. 2 Since humor doesn’t always translate on the internet I figure I should note that this is a good thing. We get enough shallow “pithy” phrases imposed on us by society – it would be troubling if historians and universities ever start promoting them. And while I enjoy talking about the artificiality of modern periodizations, I usually don’t take lunch conversations there. I’ve been reading quite a bit on Ostrogothic and Lombard Italy lately. I’ve never focused on the Lombards before so I’m learning quite a bit. I read some of the obvious books years ago such as Chris Wickham’s Early Medieval Italy, Neil Christie’s The Lombards and Paul the Deacon’s History of the Lombards. So here are my teasers; areas I intend to look at in more depth at some point (I really shouldn’t run out and buy more books right now – I have plenty to read sitting here). While these are Italy-based, they have implications for Western Europe during the period. Related to this is that Lombard aristocrats did not develop the wealth possessed by the Franks and that the aristocrats were much more city-based than in Gaul. 6 Was this a precursor to the development of city-states? I don’t know but it’s an interesting question. This makes some sense. I’m not sure about lower level of literacy. To me, individualistic scripts may represent manuscripts intended for a limited audience – a small circle of “literate elites” – which would recognize and read it easily. It also may indicate political leadership having little influence on what was being written – an absence of the “official” centers where charters are redacted or edicts written such as are found with the Carolingians. It may possibly point to a lower literacy level at the court as well though this would require a lot of investigation before I’d be comfortable with it as a conclusion. These three areas; the role of feud and vendetta; the structure of Lombard society and; what the development of scripts may indicate about literacy and the uses of writing, were very interesting for me. However, while I’m interested in them, I don’t know enough about any of these topics to offer them up as standalone posts. 1 I apologize for my lack of substantive posts lately. I finished a major responsibility on September 24 and thought I’d have more time. I underestimated how many projects I’d set aside to be worked on as soon as I finished this. I’m still working through “the stack” and hope to return to more regular posting in the not-too-distant future. 2 I use the term “state” very loosely here. Entities in Western Europe in Late Antiquity lacked many of the aspects we would today attribute to a state. Guy Halsall’s use of the term “polity” is more accurate but I don’t want to take the time to discuss that here – for the folks who this blog targets, I think I’ll stick with state, however flawed. There have been some interesting blog posts on this topic recently. I’d suggest one by Guy Halsall and another by Steve Muhlberger referencing Susan Reynolds. This is another area I really need to focus on – what is a state and which medieval societies fit the term? 3 Giorgio Ausenda and Sam Barnish, “A Comparative Discussion of Langobardic Feud and Blood-Money Compensation with Parallels from Contemporary Anthropology and from Medieval History,” p. 314 in Ausenda, Delogu and Wickham, eds. (2009). This seems to indicate a situation where under Liutprand, violence in the form of feuds and vendettas were no longer a crime against an individual and/or family, but a public crime, requiring that the state also be compensated. Graham Barrett gave a paper titled, “Literacy, Law and Libido in Early Medieval Spain” at Kalamazoo in 2010 which pointed out a similar evolution in 10th century Hispania. 4 Ausenda and Barnish (2009), p. 338. This is something I really want to explore. I’m for anything which further debunks the portrayal of Medieval Society, particularly immediately post-Roman, as the anarchic, people running around killing each other randomly, way it’s frequently been illustrated in older history, popular modern literature, and credit card commercials. But I need to know more before I start posting on it. Another shout-out to Guy Halsall. His Violence and Society in the Early Medieval West is extensively referenced. One more book I haven’t read which I clearly need to get to. 5 Paolo Delogu, “Kingship and the Shaping of the Lombard Body Politic,” p. 255 in Ausenda, Delogu and Wickham, eds. (2009). Delogu believes that Authari and Agiluf attempted to create this sort of entity however Roman society was too fragmented in the wake of the Gothic Wars to take this sort of role in kingdom formation. 6 Chris Wickham, “Social Structures in Lombard Italy,” p. 123 and discussion on pp. 140-2 in Ausenda, Delogu and Wickham, eds. (2009). 7 Everett, Nicholas, Literacy in Lombard Italy, c. 568-774, (2003) pp. 315-6. I am not, overall, very fond of this book. I felt he was overly given to conjecture and did not provide sufficient evidence for many of his conclusions, however this argument was pretty good. Many of his arguments are interesting but he failed to provide a discussion of the evidence in the sort of detail to convince me. Jonathan Jarrett once asked me about reviewing books I didn’t find useful. This book became a candidate (and this may still happen). A lot of good ideas, insufficient evidentiary support for many of them. Ausenda, Giorgio, Delogu, Paolo and Wickham, Chris, eds., The Langobards before the Frankish Conquest: An Ethnographic Perspective. Woodbridge: The Boydell Press (2009). ISBN: 9-781843-834906. Christie, Neil, The Lombards. Oxford: Blackwell Publishers (1995). ISBN: 9-780631-211976. Everett, Nicholas, Literacy in Lombard Italy, c. 568-774. Cambridge: Cambridge University Press (2003). ISBN: 978-0-521-17410-7. Halsall, Guy, Violence and Society in the Early Medieval West. Woodbridge: The Boydell Press (1998). Paul the Deacon, History of the Lombards, Edward Peters, ed., William Dudley Foulke, trans. Philadelphia: University of Pennsylvania Press (2003). ISBN: 9-780812-210798. Wickham, Chris, Early Medieval Italy: Central Power and Local Society 400-1000. Ann Arbor, MI, USA: Ann Arbor Paperbacks (1989). ISBN: 9-780472-08099-7. 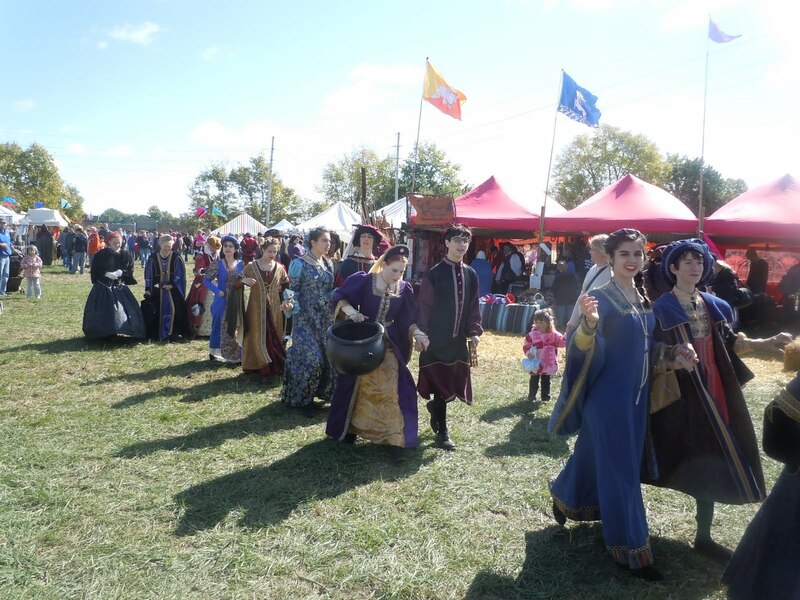 I only became aware of The Fishers Renaissance Faire last year. Fishers is only about an hours’ drive and I decided I’d try to make it this year. I am not involved in reenactments. I’ve never felt the urge to dress up in period costume, develop a craft to practice, or pretend to attack people with sharp pointy things. At the same time, I have a lot of respect for what many of these folks do. I know some SCA members and I think they have something to add to the study of history. 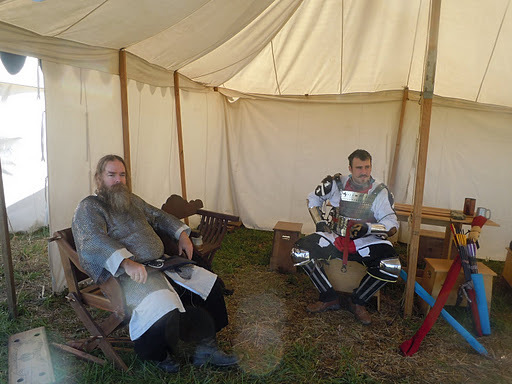 If nothing else, they are able to take interpretations of various aspects of medieval life and demonstrate whether they are practical or not, and offer possible details on how things may have been done. I know some academics discount what they have to offer and personally, I think that’s a bit narrow-minded. 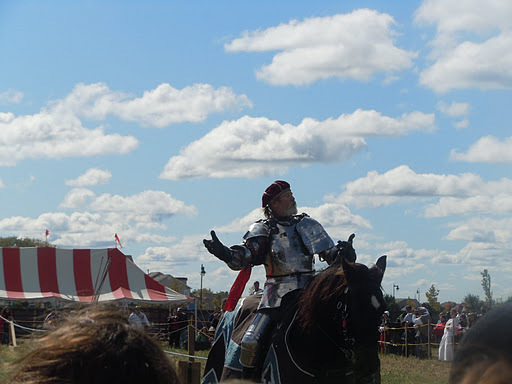 So I went to the Faire. For the most part, this wasn’t for my period. The focus of this group is Elizabethan. But there were a few exceptions. One of the first booths I stopped to chat at had a gentleman dressed as a Saxon warrior, conversing with someone dressed as a 15th century Ottoman Turk. Eric Chance, dressed as a Saxon Warrior (left) and Luke Casey as an Ottoman Warrior (right). I also had the chance to meet with royalty. It’s not every day when one gets to chat with Queen Elizabeth. I particularly enjoyed that she stayed in character and, when I mentioned a blog, asked me what that was. I told her it was a sort of chronicle, like Henry of Huntington would write. Queen Elizabeth, AKA Susie Alexander. I wouldn’t have come so close except she ordered me to when she saw me taking pictures. I hung around for a few hours, drank a little mead, making up for missing it at Kalamazoo this year when I was chasing down books, talked to a few folks and had a good time. Fortunately there wasn’t a book tent or I might have gotten in trouble. In the past some friends of mine and I have made comments that Medieval History is a lot more than people chasing each other around to stick them with sharp, pointy things. Despite that, I seemed to spend as much time watching people go after each other with sharp pointy things as anywhere. And while I didn’t buy anything beyond food and mead (no book tent, remember?) I seemed to linger a bit longer in the tents with sharp pointy things in them. I’m amazed I didn’t leave the place with a dagger. Good thing their swords were blunted – these two guys hammered the tar out of each other. 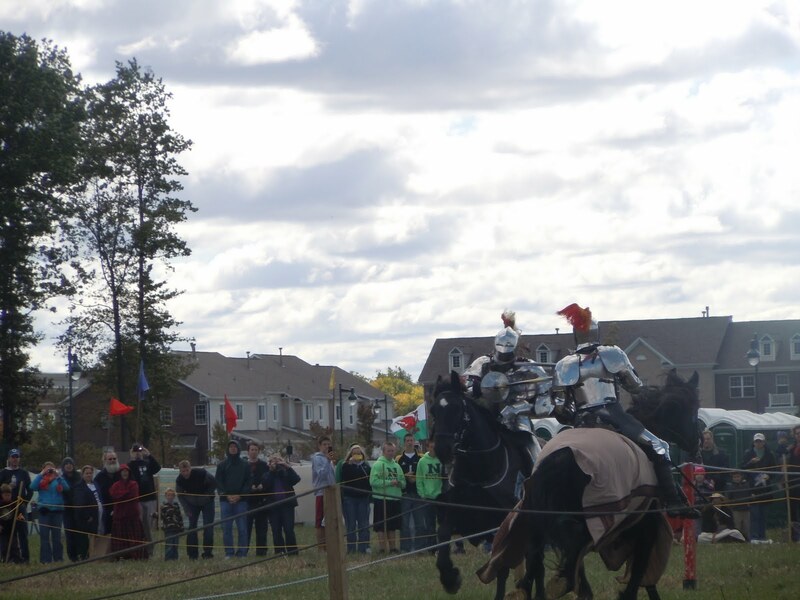 I’d seen combat on foot before but this was my first opportunity to watch a joust. 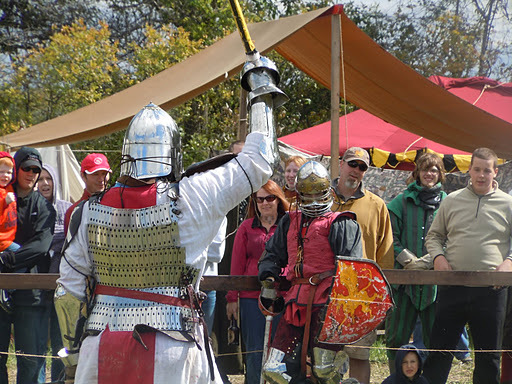 Two gentlemen, James Acuff from Tennessee of The Lords of Chivalry and Aaron Toby from Ontario, Canada, had at it. I climbed on a horse with plate on once and that extra weight throws your balance all out of wack. I suppose you improve with practice but those dudes must be pretty strong. Toby was unhorsed on (I think) the fourth pass and I don’t know how you can fall well with that stuff on. I used to train horses for a living and did a little rodeo so I’ve had plenty of practice falling off. That looked like it hurt. The moment of truth. I tried zooming in closer but that made it hard to take a good picture from where I was, several rows back and holding my camera above my head. It was fun and I’ll try to get back there next year. Maybe I’ll read up a bit beforehand so I can carry on a bit more of a conversation with people. It’s not my thing but I can see where being involved in this would be very enjoyable. I think this was a group heading to perform on one of the several stages. I’m currently doing some reading on Lombard Italy and will offer up a post or two on some interesting aspects of this before too long. But I thought I should mention that for a little while I decided to see what was going on a thousand years or so later than what I’m usually involved with. I should have a little more time as a major project I’ve been working on is wrapping up. Time to blow the dust and cobwebs off this blog. I recently received an offer from a major publishing house to review a book. Obviously, I enjoy doing book reviews. And this book looks interesting and intriguing. Unfortunately, it’s about 15th century events. It is in an area I find interesting; an aspect of society which added a new, very significant variable into contemporary culture. I’ve even read a little bit about it, but not enough. I’m not up on recent scholarship, don’t read journals related to the topic or period, and this isn’t an area I’ve chosen to focus on. After debating with myself for several weeks I decided to decline the offer. It is a popular history but this is no problem. There absolutely is a place for well-written books designed to reach a wider audience. One of the problems is I probably could have written at least a decent review, though I’d have had to do some additional reading to “brush up” on things. However if someone had responded to an item of the review with something like, “What do you think of Jane Smith’s book detailing new evidence which directly counters this?” I’d have to reply with, “I don’t know.” Not good. This is the second time I’ve received an offer like this in the past six months (the other was for a book on the development of the Arthur legend). One reason I was tempted to say yes is that there’s enough content on this blog for a publisher to get a pretty good sense of what I do and don’t know. They were OK with me reviewing it, maybe I should have been too. What I really want is for someone to send me the same type of request for a book about Aetius, Stilicho, Clovis, the Avars, the Ravenna-Papacy conflict, even Liutprand(pick which one, I think I could manage any of ’em). I’m hoping that turning these last two down doesn’t end the requests.